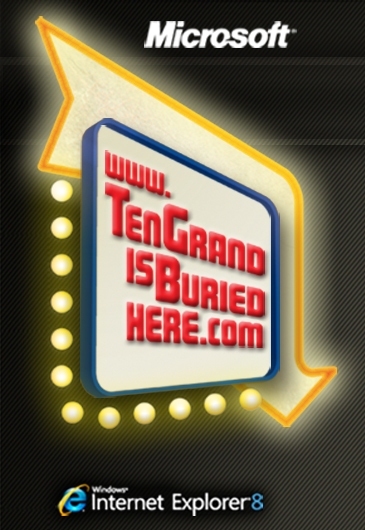 10 Grand – Below the belt! Thanks to Queen of Tarts for sending this. Now, I’m starting off with a disclaimer that this stinks. In fact, I’m all ready to dismiss it as outlandish, but then again, the URL seems legit, & Mozilla had a scheme somewhat like this sometime ago, albeit without the cash. 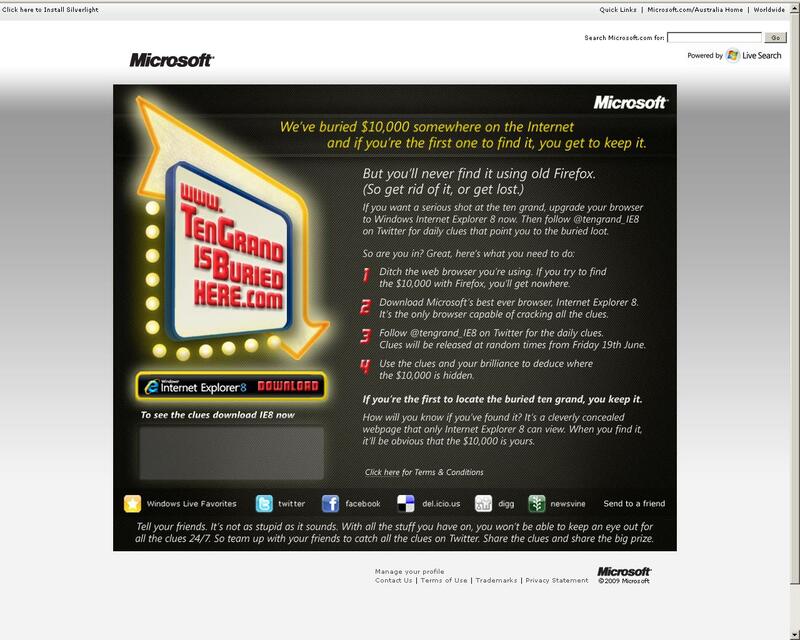 So typical of Microsoft to ripoff someone else’s idea. that page gets to win 10,000 US$. They claim that page is non-Firefox viewable, however, I’ll have to recheck that one. The original announcement is spotted at Microsort Australia. Then there’s a Twitter page (and user @Tengrand_IE8) which shall start posting clues everyday from the 19th of June onwards. Another website is linked too, but it is down (or mebbe just for me @ work). Now I want to know what type of pages are visible in IE8 and not in FF3. How is FF3.5 team going to be able to resist adding features to their browser to make it open anything on the web. Ofcourse, the winning page can always detect the browser type and then render some alternate elements to be displayed. But then again, I use IE Tab, (which is awesome btw) and User agent switching plugin which defeats the whole purpose of this idea, right? Hehhe! And what if we do a V for Vendetta and flood the Intertubes with the winning page? And how does Microsock hope to use this tactic to make IE8 actually work properly!???!! As usual, the shenanigans start. here, here, here and here. So, someone from Oman finding it? Update: Microshlong is really desparate for IE8. Update #2: The whole thing works with User Agent Switch. 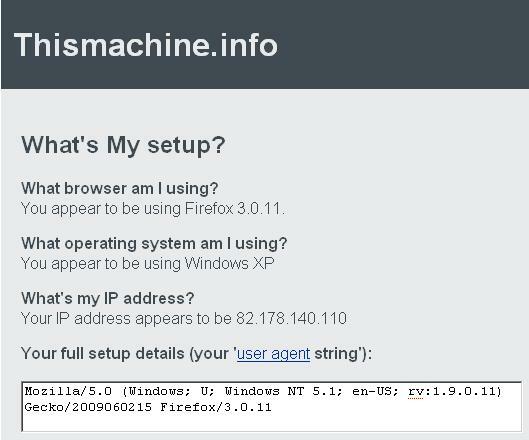 The ThisMachine diagnostic website reads FF3 as IE8, fully and properly. 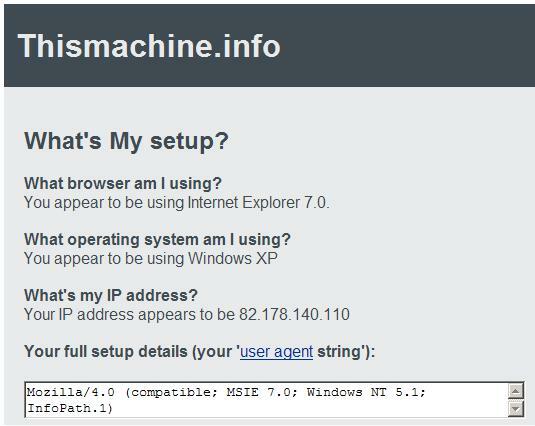 Ironically, when I tried it using IE8, they told me I was using IE7. Now THAT’s Ironic!!!!!! Yup, it doesn’t get any lower than this! Videocon Integra 32″ LCD TV. Around… ummm…. 6 months old. That means the 2-year warranty is still in effect. Want to sell it for a bigger size. Techie details for the same are here. This is the Canon Powershot Sx100. This, again, was bought around December last year. The 1 yr warranty is in effect. Go for techie details here. Oman Shipping Company (OSC) […] commission[ed] its giant oil products tanker, Raysut [yesterday]. [It has] 21.5 metre draft, [is] 244-metre long, 42 metre wide, has a capacity of 105,000 tonnes. Raysut is the third in OSC fleet of oil products tankers alongside Liwa and Haima. The new vessel will operate in the international market as part of Mitsui’s Shipping lines. 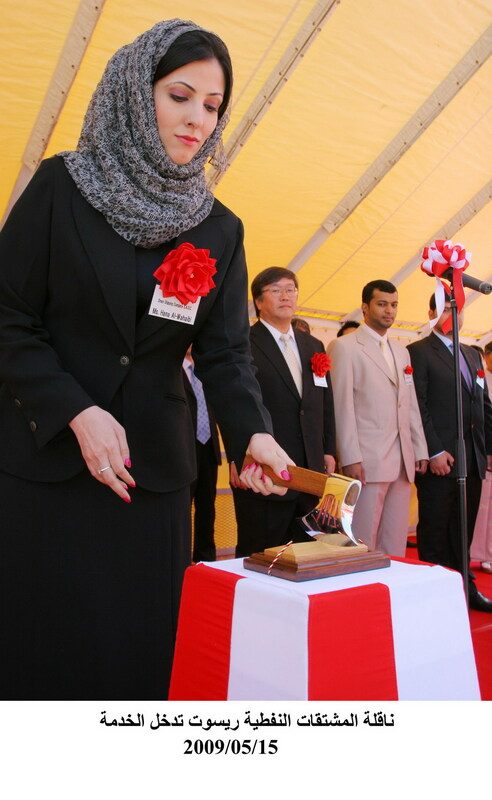 Ms. Hana Wahibi represented OSC in the ceremony*. Mitusi is a very large carrier company that has well-reputed trade routes and et al. Seems like OSC has a comfortable relationship with ’em. Wisam bin Moosa al Najar, Senior Commercial Officer at OSC, said Oman Shipping Company was able to build a fleet of 38 tankers during the past four years, with 22 tankers operational and 16 others under construction. And there is a lot of that going on around. Seems like Haima was delivered only in March this year. Oman Shipping Company (OSC) commissioned LR2 Haima, a carrier of oil derivatives as 18th vessel on the company’s fleet. The carrier is built by Mitsui Engineering and Shipbuilding company of Japan. Gulf Energy Maritime (GEM), a joint venture subsidiary of the state-owned Oman Oil Company, took delivery of ‘Gulf Muttrah’, a 46,000 dwt vessel from a Korean shipbuilder. Lots of investments going around.